The original Maker Faire event was held in San Mateo, CA and in 2015 celebrated its tenth annual show with some 1100+ makers and 145,000 people in attendance. 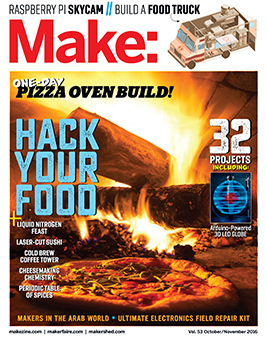 World Maker Faire New York, the other flagship event, has grown in four years to 600+ makers and 80,000 attendees. Detroit, Kansas City, Atlanta, Milwaukee, Orlando, Pittsburgh, San Diego, Silver Spring, Ottawa, Lisbon, Paris, Rome, Berlin, Newcastle, Hannover, Oslo, Trondheim, Seoul, Singapore, Taipei, Tokyo, and Shenzhen are the home of larger-scale, “featured” Maker Faires. In addition, over 120 community-driven, independently organized Mini Maker Faires are now being produced around the United States and the world—including right here in Stark. Stark Mini Maker Faire is independently organized and operated under license from Maker Media, Inc.